Here’s something that bugs me. 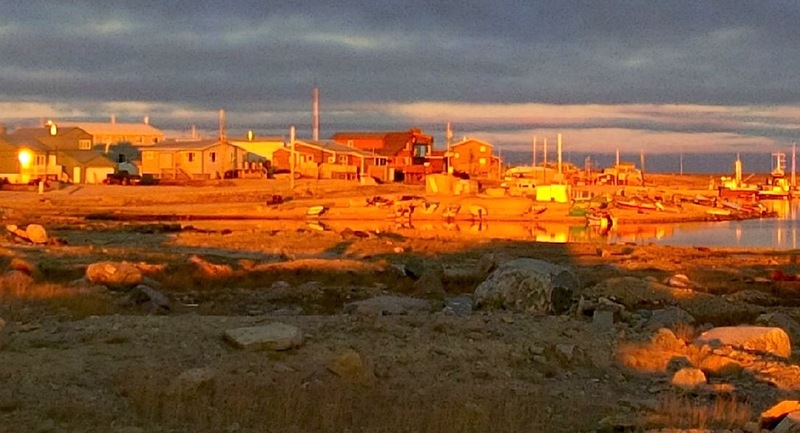 People in southern Canada often ask me, “isn’t it boring in the North?” They have no idea how interesting a weekend in Cambridge Bay, Nunavut can be. 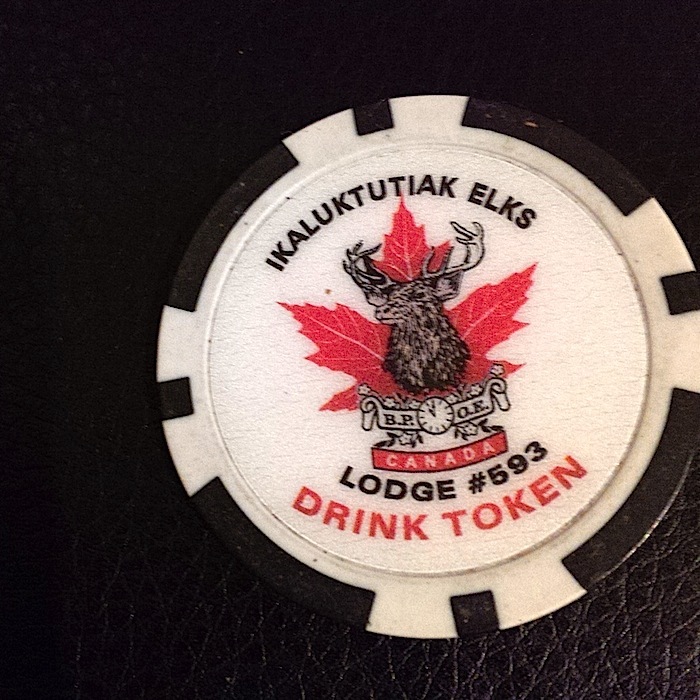 My weekend starts on Friday, Sept. 19, at 5 p.m.
That’s when I head off to where you go in this western Nunavut community for some good conversation and maybe a drink or two — the Elks’ social club. 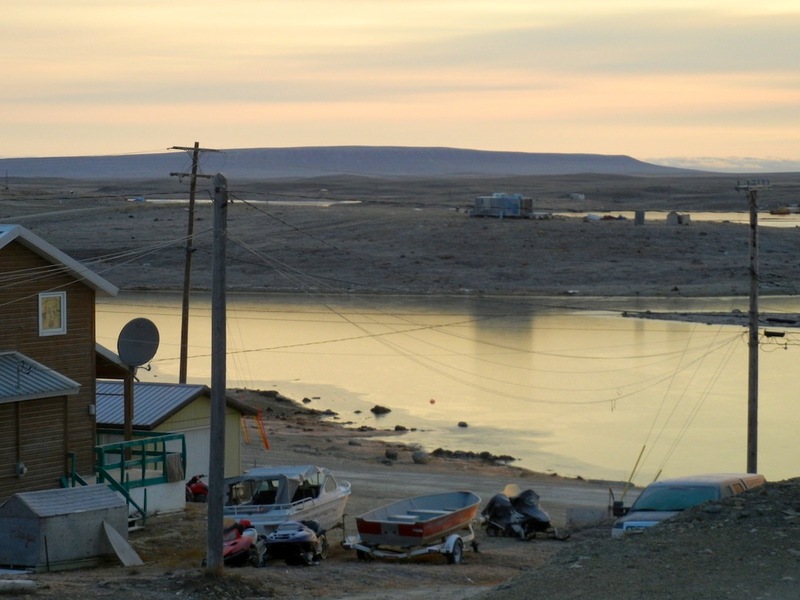 There, around a dozen round tables, I meet people of all ages, from youth to elders, Inuit and non-Inuit, who talk, drink, watch television or play darts. At 5:30 p.m., the room is nearly empty, but, by 8 p.m. it’s full and noisy, so I leave. But I stop off on the way home to make a date to speak with the crew of the Martin Bergmann research vessel — named after the director of the Polar Continental Shelf Program who died in the Aug. 20, 2010 crash of First Air flight 6560 in Resolute Bay, which I covered. The Bergmann crew members, I learned at the Elks, had just disembarked from their boat after helping to locate one of Sir John Franklin’s wrecked ships, an event announced earlier this month by Prime Minister Stephen Harper. So I wonder what will come of our arrangement to speak. We agree to meet at 10 a.m. the next day. On the morning of Saturday, Sept. 20, the sunrise is enveloped in sherbet — or that’s what it looks like to me. Shades of orange, yellow and green cloak Mt. Pelly in the distance. The view from where I am staying is diffused by fog for a while. I walk down to the shore and the dock where their boat and a tug, the Tandberg Polar, here to fetch Roald Amundsen’s Maud, are floating back to back, vying for space: each vessel needs secure moorings before the ice, which first showed itself on the bay a few days ago, moves in for good. I watch a lone kayaker paddling across the still waters while I continue to walk to towards the airport, about 3.5 km out of town. 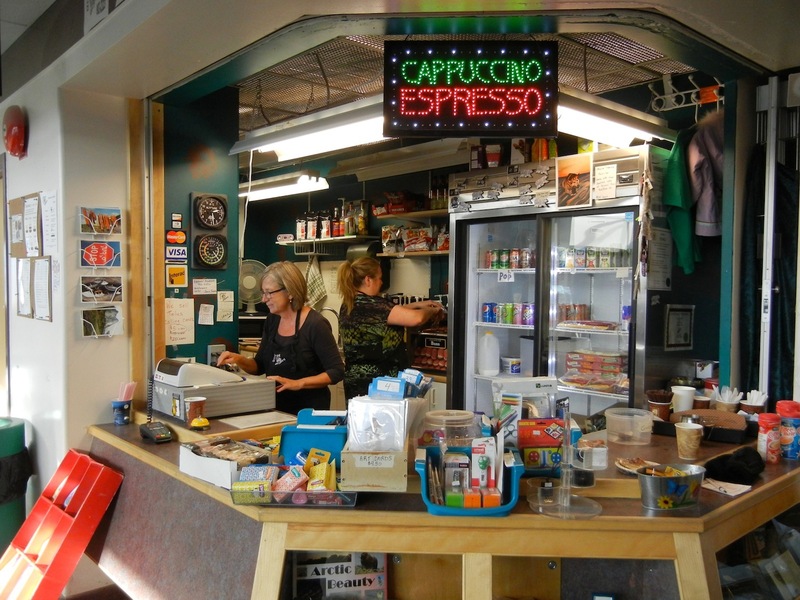 There, I think, I’ll have a latte at the the Arctic Closet airport concession, which my friend, Vicki Aitaok, operates there. I do have a latte — but I also end up spending the next four hours helping Vicki make coffees from a huge expresso machine and selling snacks. Polar-bear shaped fridge magnets in the shape of the former Nunavut license plate, saying “Cambridge Bay,” are big sellers. The small airport terminal is packed because of crew changes on two Coast Guard icebreakers, the Louis St. Laurent and the Terry Fox. They’ve just returned from the North Pole on the 20th anniversary of the first icebreaker visit to the Pole. “We had a day off [at the North Pole]. We went out on the ice,” said a man, dressed in a hoodie with a giant logo showing the Louis St. Laurent surrounded by the ice. At the North Pole, he said they played games and took photos. It was so warm on the ice that they needed only hoodies and light jackets. “One guy was wearing a Hawaiian shirt,” he said. They took a day off from their seismic seabed scanning to collect information needed for Canada’s submission to the United Nations Convention on the Law of the Sea on seabed rights to its continental shelf extension. But that would have been an expensive day of fun at the pole, I think. That’s because it costs up to $80,000 a day just to operate an icebreaker, I learned while travelling through the Northwest Passage on the CCGS Amundsen in 2010. I walk back from the airport and see the Polar Tandberg and Bergmann still jostling for space at the dock as a team from Ocean Networks Canada prepares for another dive. 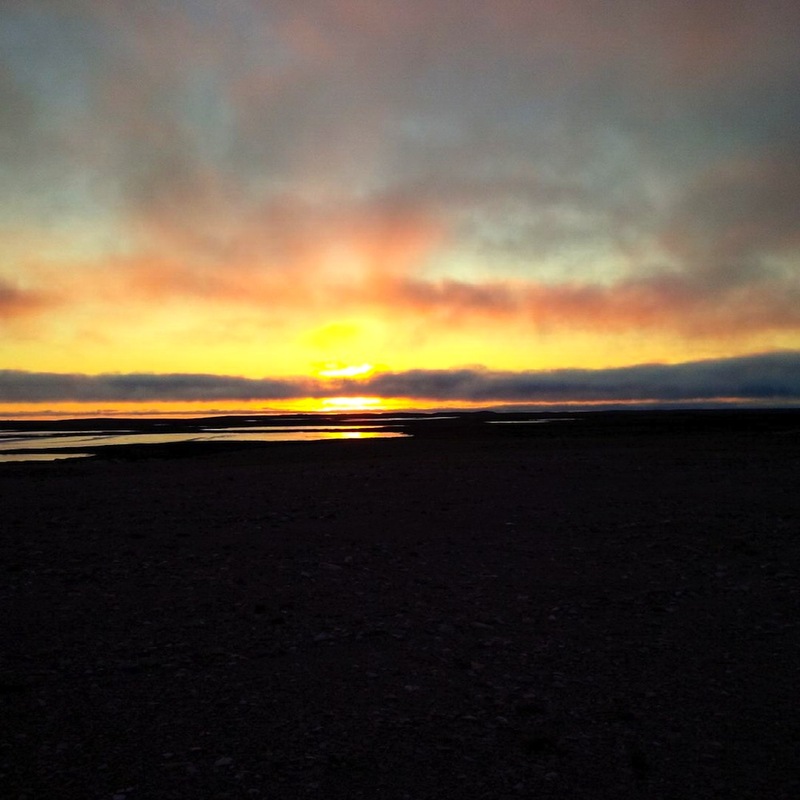 Later, I head out past Cam-Main, a North Warning System site, to see the sunset. The clouds explode again in ice-cream colours and then move into cherry-red. 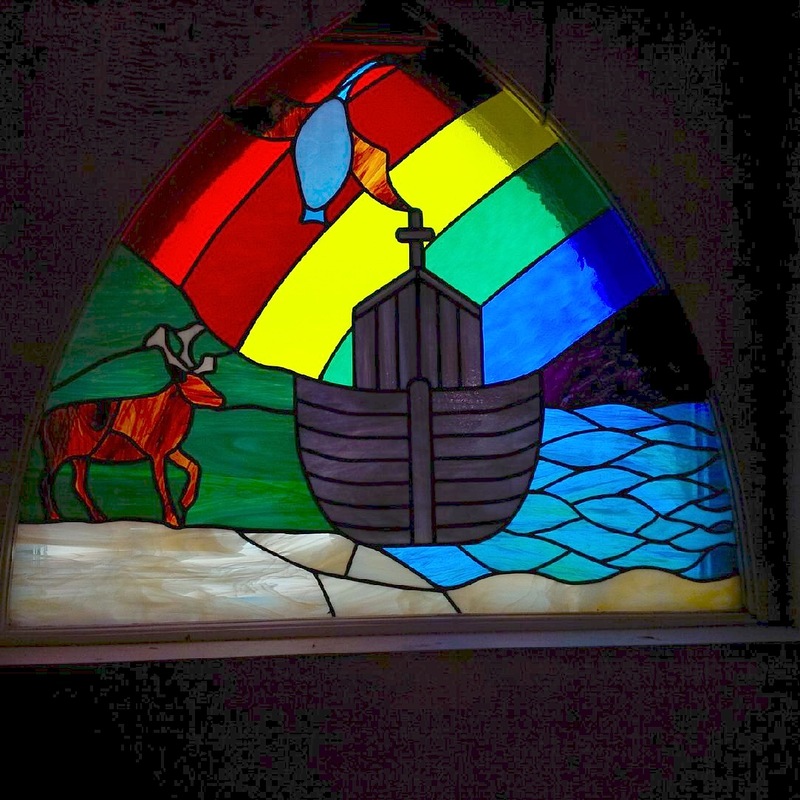 The next day, Sunday, Sept. 21, includes a bilingual church service, at the tiny, white St. George’s Anglican Church. A respected elder, Paul Omilgoituk, died Sept. 20. During the service, he’s remembered as a leader in the church who became a community leader because of his position in the church. 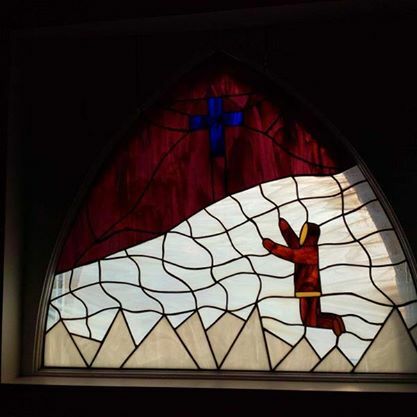 As I listen to prayers in Inuinnaqtun, I remember the late Bishop of the Arctic, John Sperry, who translated all the hymns and prayers into Inuinnaqtun. The “Bish,” as we called him, 84 and with poor eyesight when I met him in 2008 at the Bathurst Lodge, never stopped enjoying life. He would hike around with his cane, and once, when we visited an island, he pointed out a complex of huge rocks once used for early Inuit dwellings. After church, light snow starts to fall. Just another weekend in the Bay.